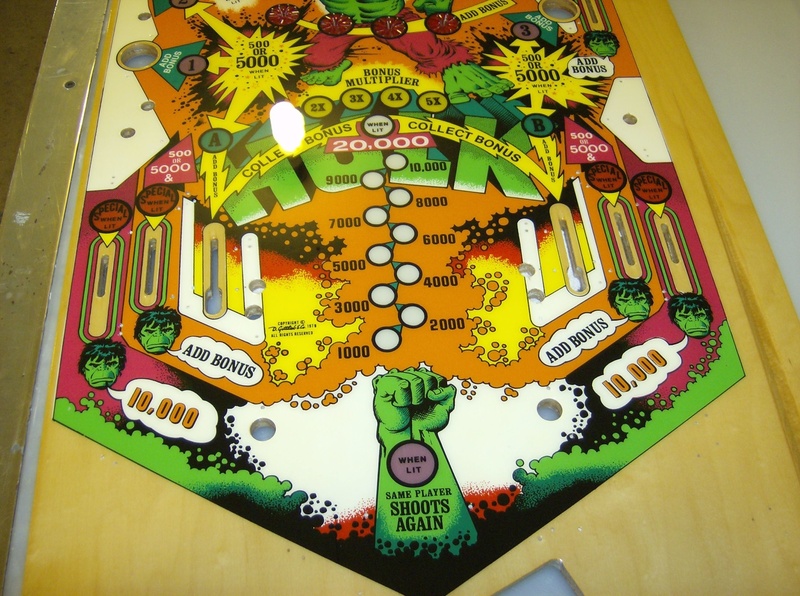 This is a NOS Incredible Hulk by Gottlieb playfield. 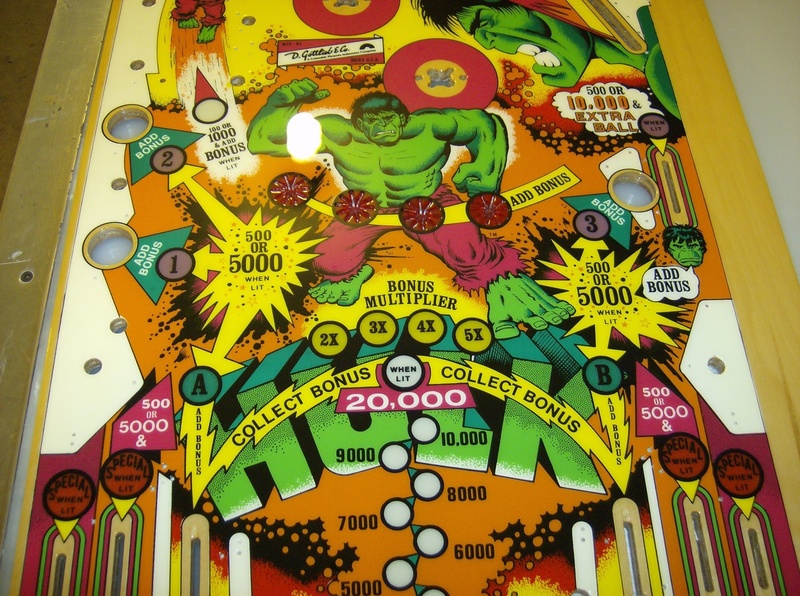 Everything on the playfield has been perfected. 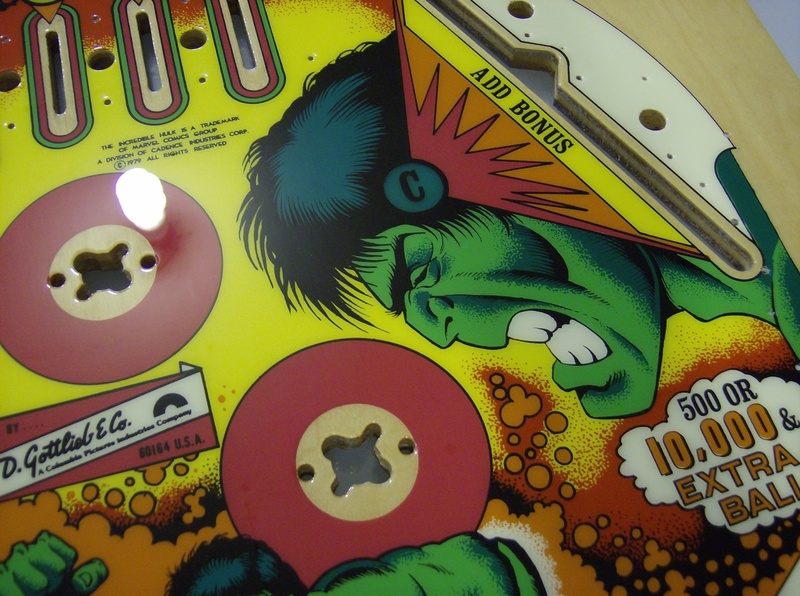 Please note the star rollover inserts are free of excess clear coat allowing for easy and proper installation of the white plastic stars. 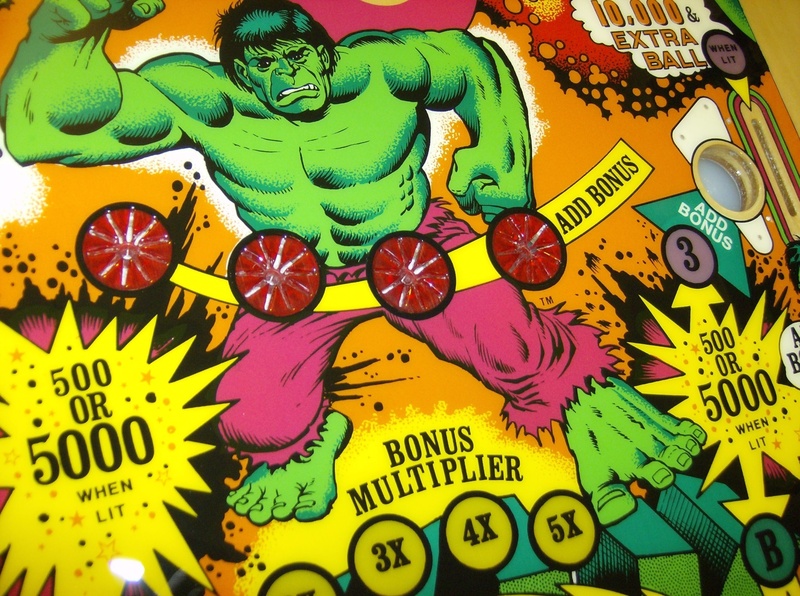 Don’t make your Hulk angry by installing an inferior playfield on your machine.